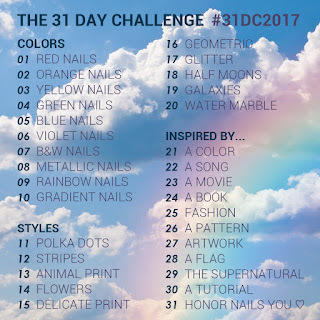 September is almost here, and that means the 31 Day Challenge is almost here, too! 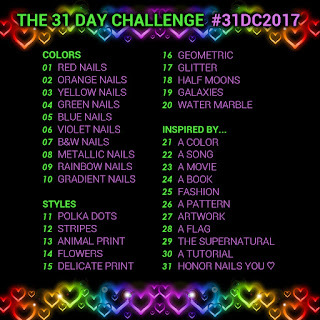 This will be my 5th year participating and again I'm looking forward to the challenge. 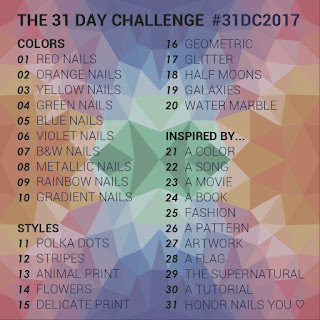 Sarah from Chalkboard Nails, who I've always looked to for her leadership with the challenge, is probably not participating this year. But she has kindly provided me with her words of wisdom (and photoshop files) to help me get things off the ground this year. 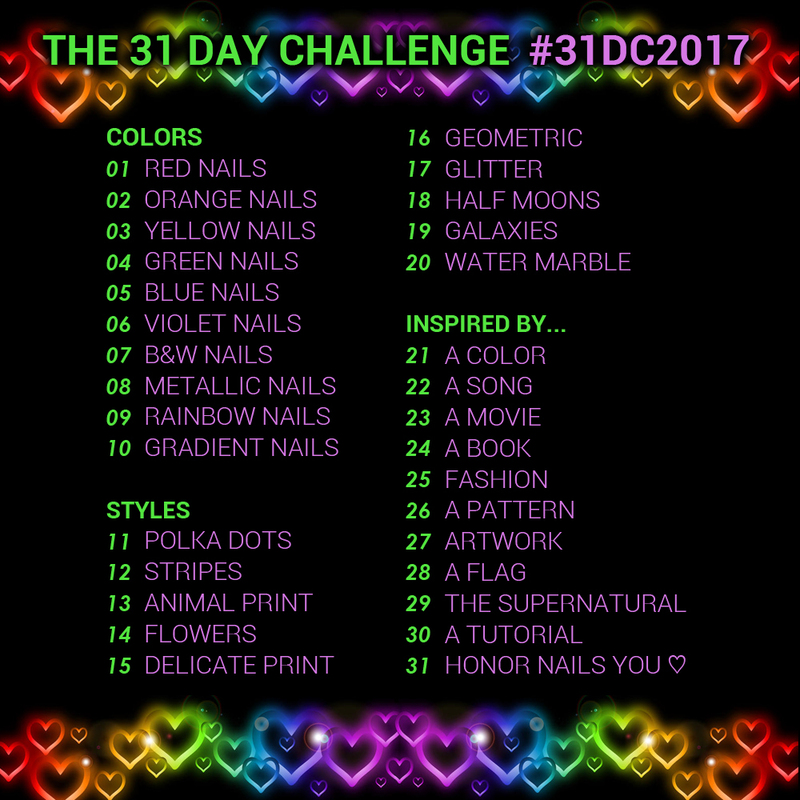 So in true Chalkboard Nails spirit, I invite you to all to join me! 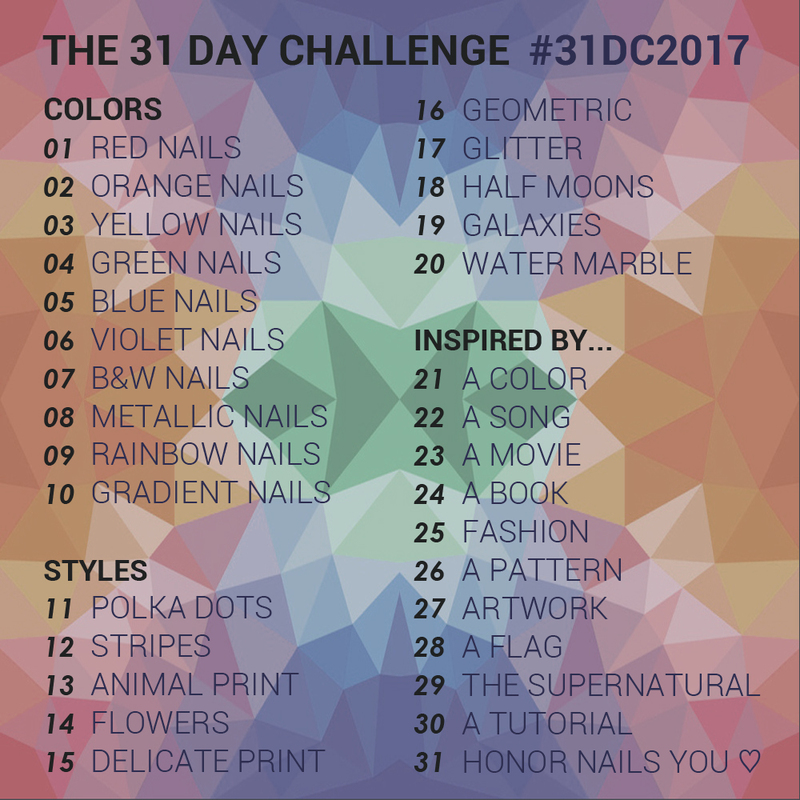 If you're interested in challenging yourself and your nail art, The 31 Day Challenge is perfect for you. Unfamiliar with the challenge? Check out the 31 Day Challenge FAQ and inlinkz to learn more. Looking for the inlinkz? they're on the same page. 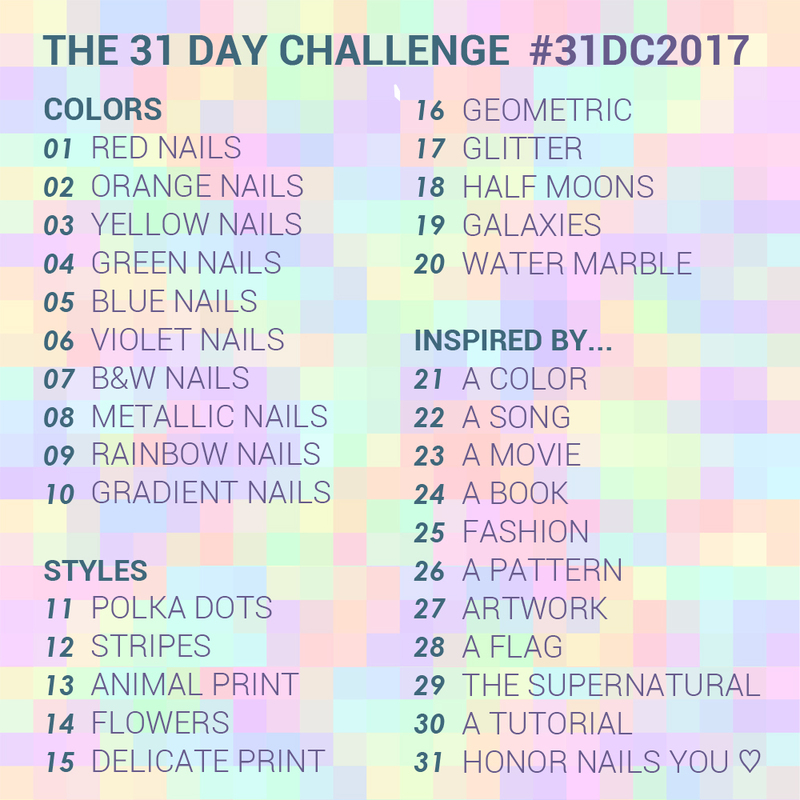 Here are the 31 Day Challenge prompts for 2017! Feel free to share, repost, upload to your blog, put on Instagram, etc. Click to enlarge. Will you be joining us? Let me know in the comments? I'm so excited! I am going to write a post about this to let fellow italian blogger partecipate! Thank you for sharing the images and hashtag! I will definitely be joining the challenge and I'm glad you're providing a place to refer to. 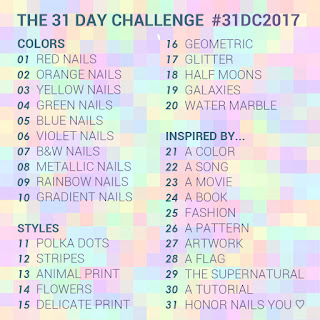 This will be my 6th year doing the challenge and I always like having one of the prompts images. I wish I could join but this year I have too much responsibilities and I have to say pass :( Have fun everyone!